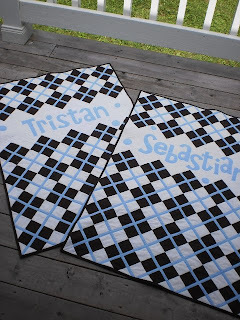 Wow, two very cute quilts! Don't you love adding their names? Their Momma is going to love them! They're adorable Gail! I love the font you chose for the names. I am curious as to how you quilted these? The new parents will be thrilled to receive such personalized gifts. You are amazing... those two little quilts are adorable! I am trying to put Caleigh's name on the rag blanket I am making and I know it won't look half as good as these sweet blankets! These are very cute and yes, I'm always underestimating how much time it's going to take me to finish something. 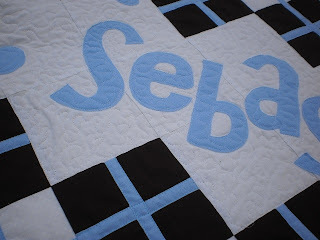 I just love this pattern and this quilt! 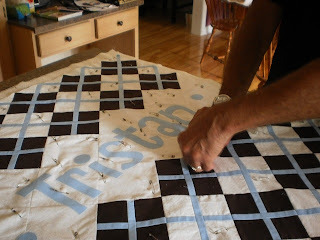 Wow what beautiful quilts you've made!! Lucky babies!! 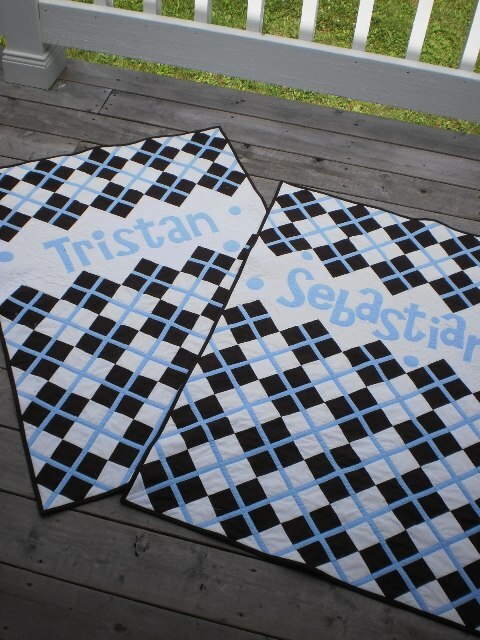 The first two quilts I made were for my niece's twins in St. Andrews NB!! Thank you for the link to the pattern!! OH MY GOD!!! They are BEAUTIFUL! How I wished I would have known you back when Abbey and Michael were born!!! lol!